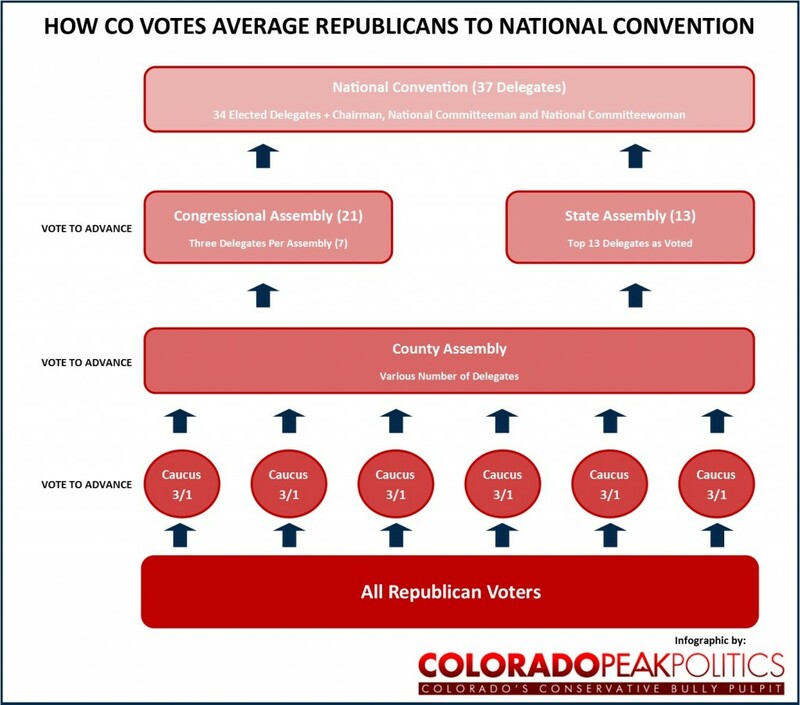 There seems to be much confusion locally and nationally about how Colorado picks its delegates to go on to the national convention to nominate the Republican Party’s presidential candidate. We’re here to help. See this infographic below, which identifies not only the process, but the votes required to move through the process. If you don’t like the process, which has been in place since the dawn of time, we can’t help with that. We’re just a media outlet. Please feel free to call your elected officials to tell them you don’t like the process.